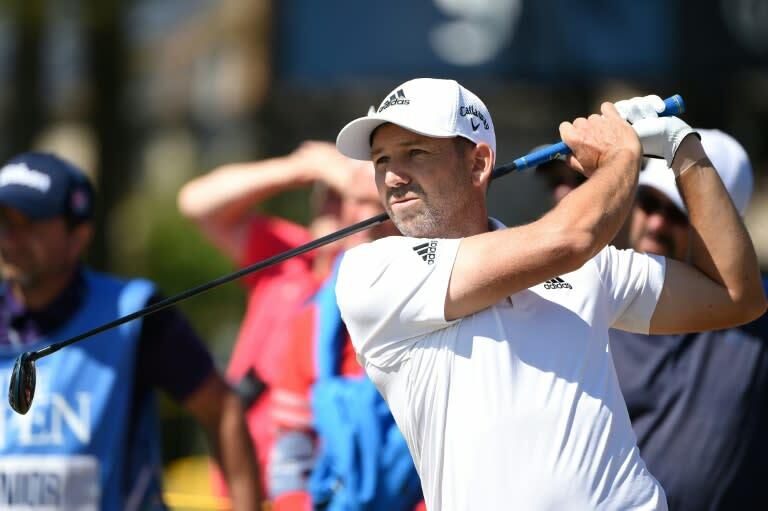 Europe captain Thomas Bjorn said Tuesday he has not ruled Sergio Garcia out of contention for next month's Ryder Cup but warned that the Spaniard had not been given any assurances of a place in his team. Garcia's form has nosedived this season following a successful 2017 which saw him win three tournaments including his first Major title at the Masters. The charismatic Spanish star -- who has missed only one Ryder Cup since 1999 -- has seen his world ranking dip to 27th this year, leaving him needing one of Bjorn's captain's picks to secure a spot in the European line-up. Although Garcia offers a wealth of Ryder Cup experience, playing in five victorious Europe teams and contributing 22.5 points in total, Bjorn said he could not guarantee the Spaniard a place in his team. "Certain players bring certain things to a certain environment and with Sergio (Garcia) you have to take into consideration what he is as a human being and what he brings to a team," Bjorn told Sky Sports. "If that's enough for him to be in this team, which is going to be a very strong European Ryder Cup team, time will tell when we go through all those discussions. "I've made no promises to Sergio and I won't disregard him, that's for sure. What he has done in the past and what he brings to a European Ryder Cup team is strong, but you've also got to be able to play the golf on the golf course. "There are 10 or 15 things that come into consideration. With him, he falls into the same rules as everyone else and we'll see what decision we make." Garcia's place in the Europe ranks could come down to a straight choice between him and compatriot Rafa Cabrera-Bello. Ian Poulter, Paul Casey and Henrik Stenson are expected to take three of Bjorn's four captain's picks, leaving Garcia and Cabrera-Bello battling for the fourth slot. Garcia acknowledged in remarks to Golf.com on Tuesday that he hoped his past Ryder Cup achievements would be taken into consideration by Bjorn. "At the moment, obviously, I have to find a couple of things here and there," he told the website. "It's been a tough three to three-and-a-half months. Before that, I had started the year really well and I was comfortable. "There have been some changes that I've had to get used to and I lost a little bit of confidence but I've been working hard and trying to do everything I can to get my game in the best shape possible to, if Thomas considers it, be part of the team and help out in any way I can. "I've spoken to Thomas over the past couple of months. He obviously knows what I bring to the team as a player – but also as a person. "I think he appreciates that and I think it's a matter of if he feels what I bring to the team is good enough. "Although he'd love me to be at 100% with my game, he knows that even if my game is not 100%, I can bring other things to my teammates that might help the team overall."